Curtis Blaydes picked up the biggest win of his UFC career with a takedown heavy performance to beat Mark Hunt in the UFC 221 co-main event. Curtis Blaydes survived an early scare to maul Mark Hunt on the ground for the better part of three rounds en route to a unanimous decision victory in the co-main event at UFC 221. 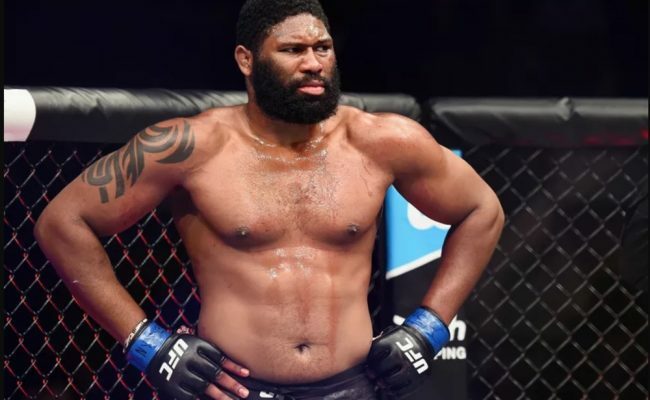 Blaydes definitely didn’t earn many fans in Australia by suffocating Hunt for nearly all 15 minutes but it was a very smart game plan as he out worked the veteran heavyweight knockout artist to earn his third win in a row. Hunt cracked Blaydes with a punch that probably would have knocked out most heavyweights, but it merely rattled the No. 9 ranked fighter as he quickly went into survival mode. Hunt continued to pour on the punishment, blasting Blaydes with a couple more jaw-rattling punches but the former junior college national champion wrestler immediately reverted to his grappling as he took the fight to the ground. Blaydes continued to smother Hunt on the mat for the remainder of the round as he recovered before moving into the mount to hammer down some punches before the horn sounded. The second round saw more of the same as Blaydes was a little less aggressive on the feet before taking Hunt to the ground to maintain his control. Blaydes didn’t do a ton of damage but he was in complete control, much to the chagrin of an angry Australian audience who wanted the fight back on the feet. Blaydes wasted no time employing the same strategy in the final round as he rushed across the cage and immediately planted Hunt on the mat yet again. Blaydes almost immediately moved into the mount as he began peppering away at Hunt with short, powerful punches. Blaydes kept the pressure on by constantly tossing Hunt back to the mat any time the veteran would find a way to work back to his feet. When it was over, the crowd wasn’t very happy but Blaydes fought with a smart and effective game plan to earn the victory. The final scorecards read 30-26, 30-26, 29-27 all in favor of Blaydes, who moves to 4-1 with one no contest in the UFC. Blaydes didn’t want to call anybody out afterwards, but instead asked to compete on the upcoming UFC 225 card taking place in his hometown of Chicago in June.